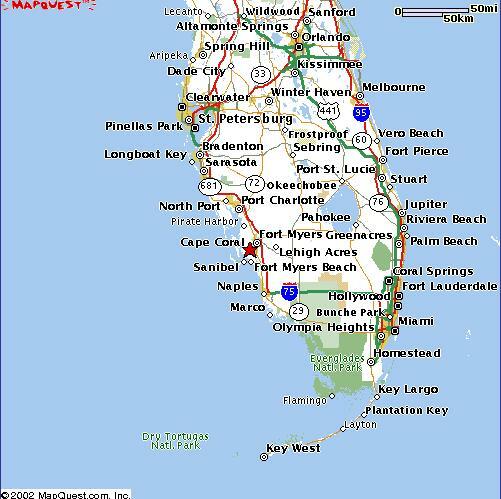 All of our construction takes place in Lee County Florida and mostly in the city of Cape Coral. With a population in excess of 100,000 Cape Coral is the largest city in Southwest Florida. While its history tags it "Fort Myers' bedroom", the city has experienced an enormous growth cycle over the past two decades with it's commercial and industrial base growing significantly. Located between the Megapolises of Tampa Bay and Greater Miami, Cape Coral boasts of some of the most desirable and affordable real estate in the state. The maps below should help get you oriented. Click on the small image to view an enlargement. Copyright © 1999-2003 Hammer Construction Co. All rights reserved.